Some outstanding runs from the Clonliffe Juvenile middle distance athletes at the final day of the Dublin Juvenile Indoor Championships held at a wind swept Morton Stadium. The wind down the home straight could have skint a cat making for pretty hard race conditions running head on into a constant head wind. All the Clonliffe crew put in great efforts in their finals. Star of the day was Lauren Carr who took her biggest win todate winning the Dublin U/15 Indoor 800 title. Lauren from the starts gun settle in the second place and put in a really strong effort off the final bend into the “skin a cat” wind to drive into the lead and hold off her challenger to take a well deserved win in 2.37.4. 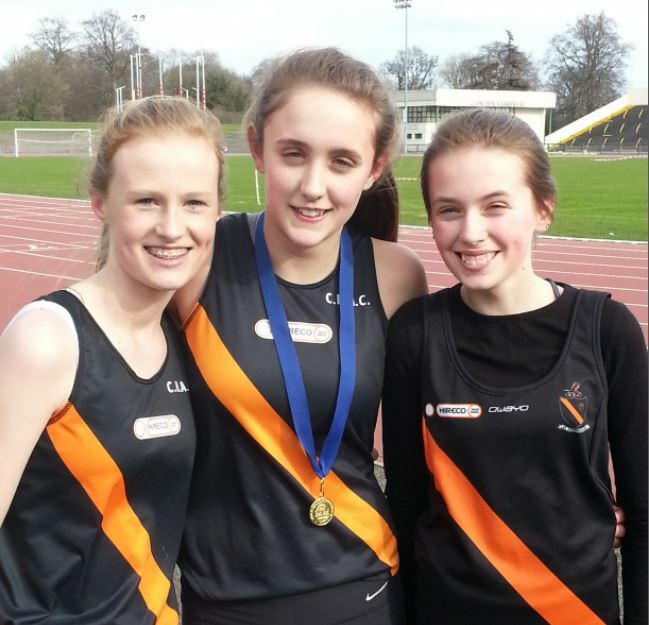 Lauren had company in this race of two of her training partners Cliona Cooley and Hannah Browne both of whom ran very well indeed with Hannah coming in 4th and Cliona 9th, had there been a team prize…. 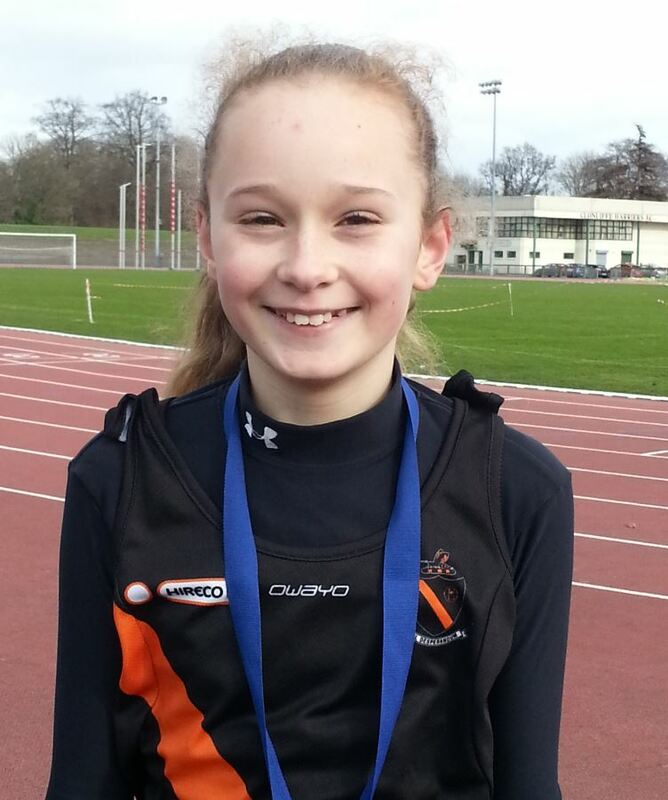 The club`s other medal today came from young Aoife Hession who came off the final bend in the U/12 600 like a train to move from 4th to 3rd and within touching distance of 2nd. An excellent bronze for Aoife. Of the other Clonliffe finalists all performed with exceptional fighting spirit. Ella Brown was 5th in the U/13 600. Cillian Forrester 8th in the boys U/13 600 and in the U/14`s Amy Warren was 6th in the 800 and Ben Guiden 9th in the boys 800. So a satisfying Dublin indoors for the Black `n`Amber: 3 Gold, 7 Silver, 5 Bronze and 10 other Finalists.